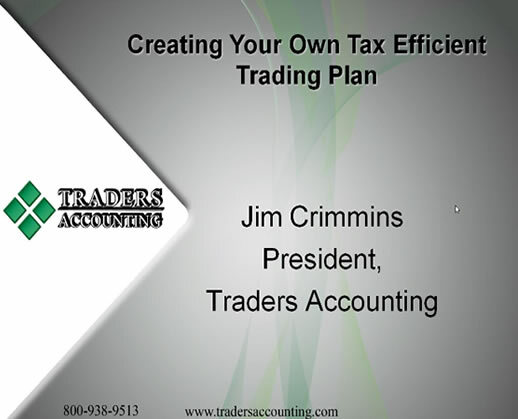 In case you missed the presentation by Jim Crimmins of Traders Accounting given on March 23, be sure to watch the recording below. It contains money-saving tips that benefit traders and non-traders alike; very important this time of year (tax time). Please click this image to view the webinar. Note that clicking this image will take you off-site to a page that requires registration. The advantages and disadvantages of trading as a formalized business—what type trader would use a formal business? Is there a cookie cutter approach to tax savings for a trader? A panacea or an empty promise for a trader?